Episode 3×11 “Here I Go Again” — After the team returns from a mission, Zari (Tala Ashe) finds herself trapped in a time loop that results in the Waverider blowing up over and over again. Zari soon begins to suspect that the answer to stop what is happening might lie hidden among her fellow shipmates’ secrets. But in investigating them she starts to understand her place on the team. Caity Lotz, Brandon Routh, Dominc Purcell, Nick Zano, Maise Richardson-Sellers, Nick Zano and Keiynan Lonsdale also stars. Ben Bray directed the episode written by Ray Utarnachitt & Morgan Faust. Air Date: Monday, February 19 (8:00-9:00 p.m. ET) on the CW. 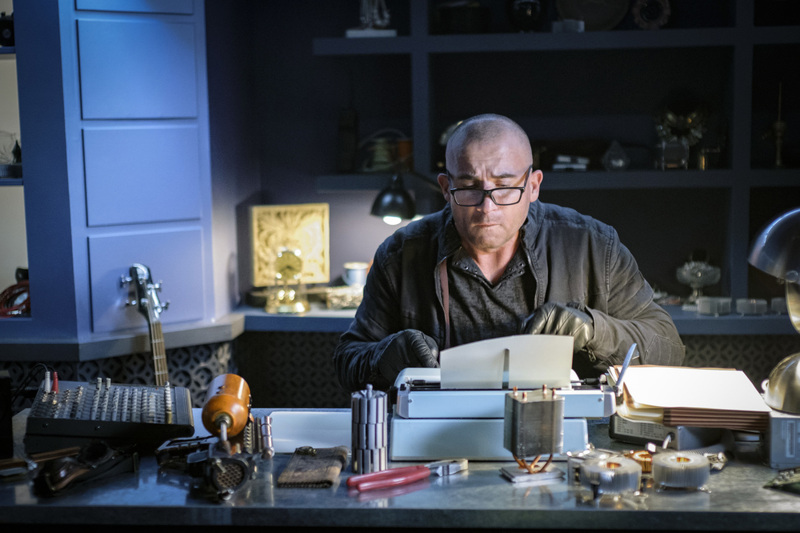 DC's Legends of Tomorrow -- "Here I Go Again" -- Image Number: LGN311b_0230b.jpg -- Pictured: Dominic Purcell as Mick Rory/Heat Wave -- Photo: Robert Falconer/The CW -- ÃÂ© 2018 The CW Network, LLC. All Rights Reserved.